The Liquid Food Colors made available by us are widely used in various kinds of processed foods, fruit juice, Frozen Deserts like Ice Cream and many more. Our Liquid Based Food Colors are absolutely hygienic and safe to use. 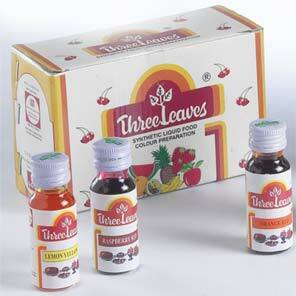 In addition to this, we are one of the most famous Flavoring Essence Food Colors Manufacturers in the country.